A Spanish war orphan born in a burning church and raised by a blind guitar teacher, Frankie Presto was gifted with extraordinary musical abilities that shape not only his life but the lives of those around him. At nine years old, Frankie meets the love of his life, Aurora; that same day, civil war tears apart his home and he is sent to America, smuggled in the bottom of a boat with only guitar and six strings imbued with the power to change lives. Relying on music to survive, Frankie’s talent weaves him through the musical landscape of the twentieth century, from Detroit’s jazz scene and the Grand Ole Opry, to Elvis mania and Woodstock—all the while searching for Aurora. As his fame grows, Frankie finds love, friendship, and celebrity. Even so, his gift becomes his burden, driving a wedge between him and his beloved Aurora—now his wife. 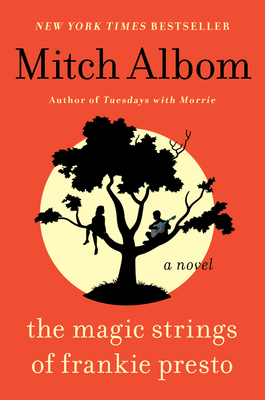 Overwhelmed by life, loss, and the power of his strings, Frankie disappears for years, only to reemerge in a spectacular and mysterious farewell.